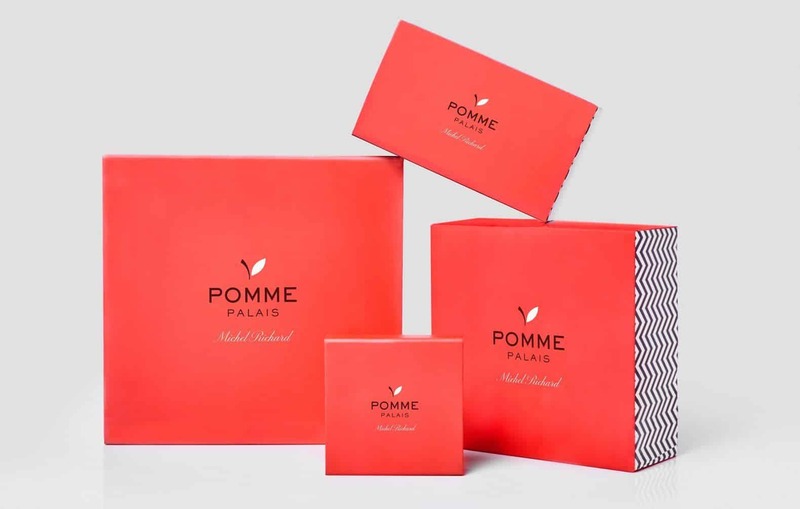 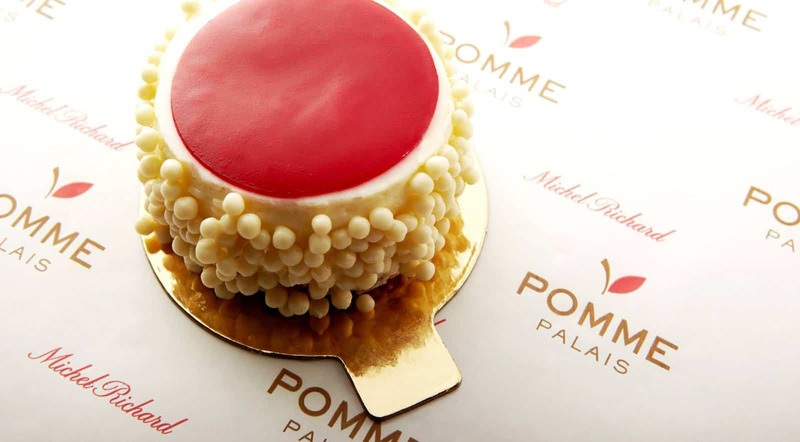 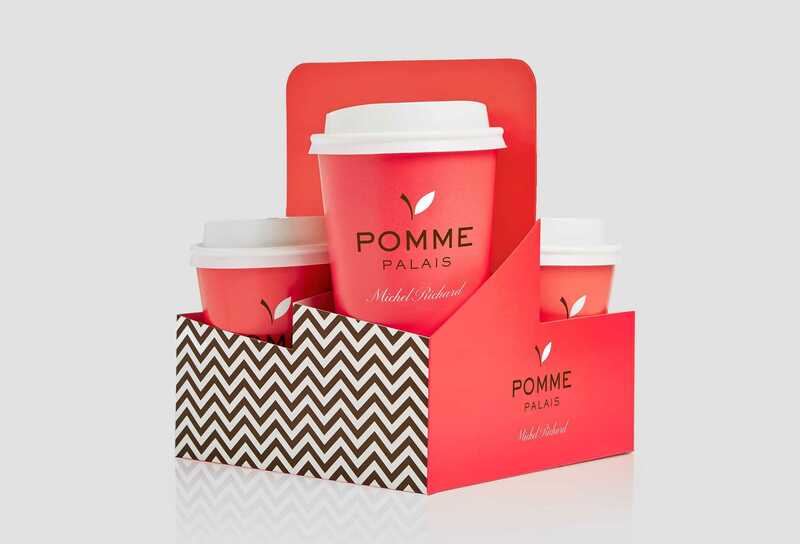 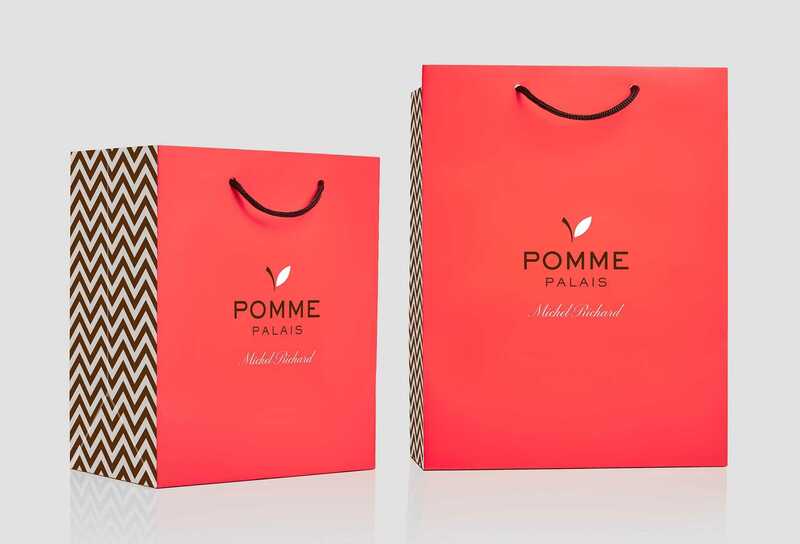 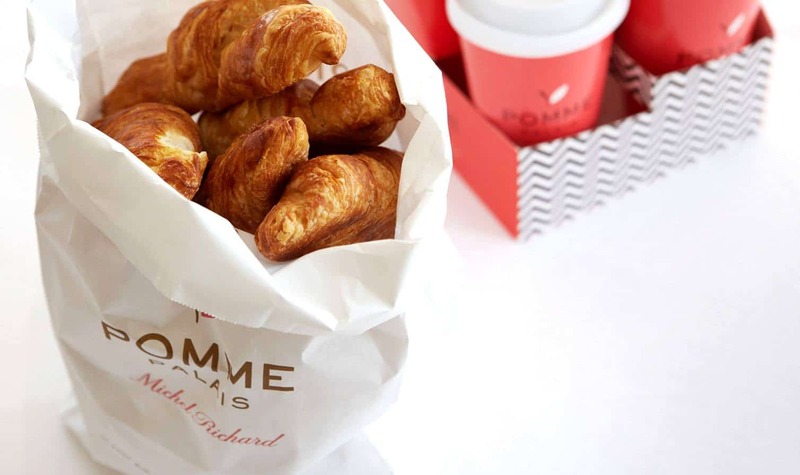 PSD branded and designed the packaging and key interior elements for Pomme Palais, a French patisserie in the New York Palace Hotel. 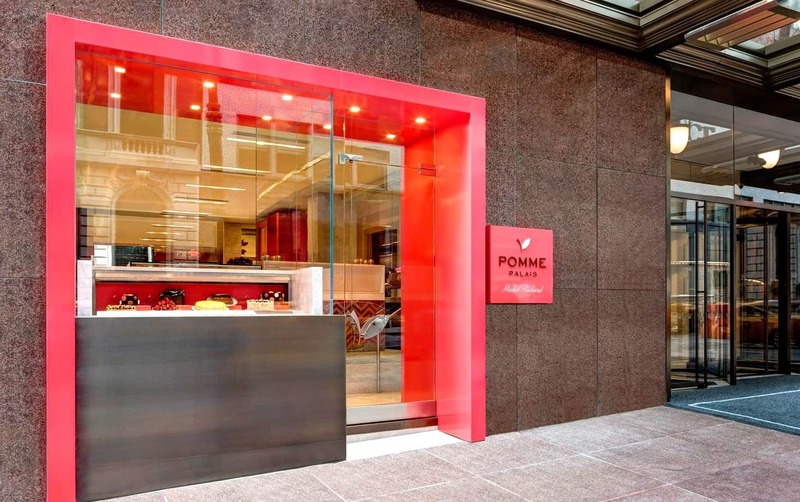 Designed by Jeffrey Beers International, Pomme Palais evokes a jewel-box of a French market unleashed in a cheery and imaginative setting. 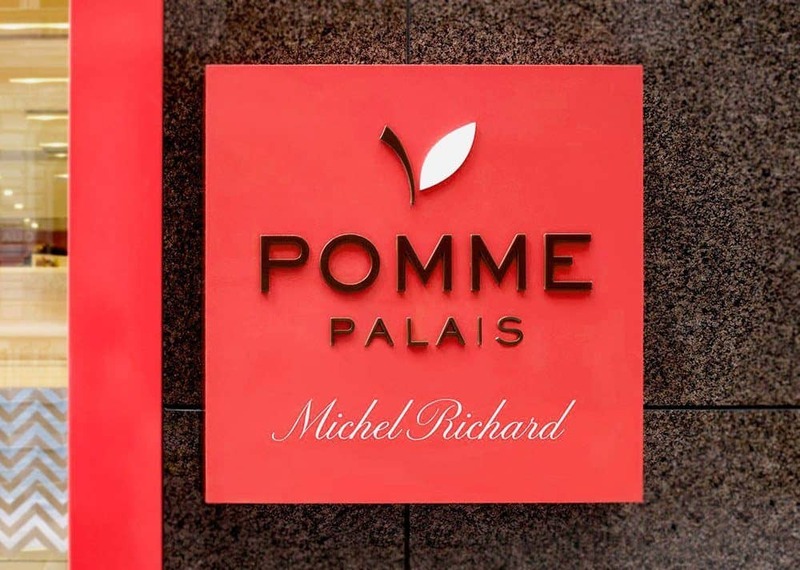 The name reflects the French heritage of Michel Richard and nods to classic New York, as ‘Pomme’ is the French word for apple, ‘Palais’ is French for Palace. 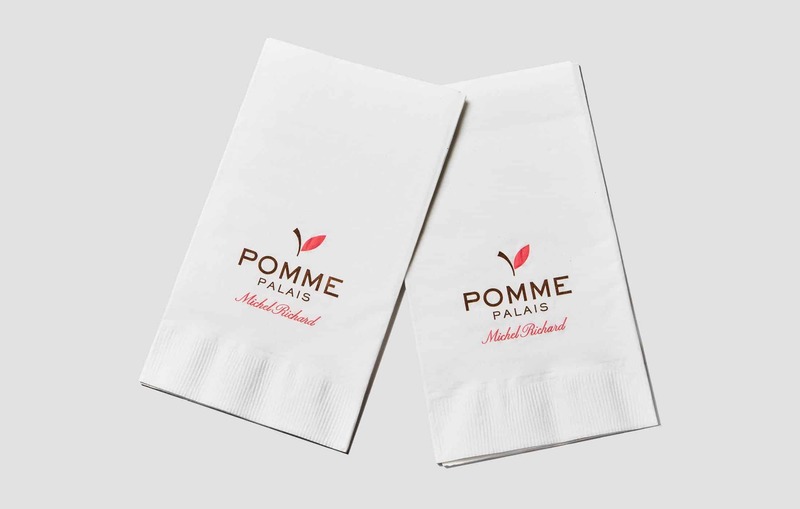 Our logo reflects this element in a clean yet sophisticated manner and is used throughout the branding.